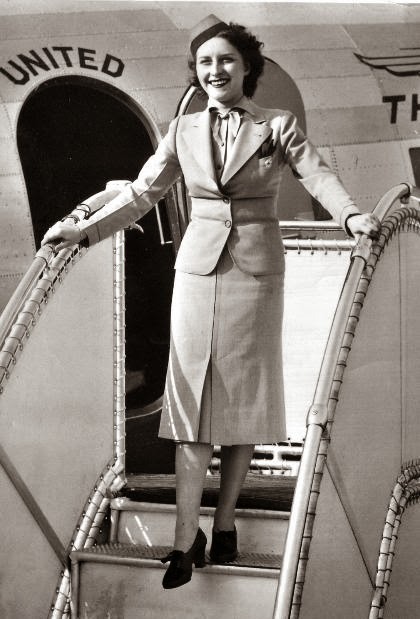 In my last post, I tell how former Northwest Airlines stewardess Helen Jacobson Richardson is key to my discovery of Howie Wing. To recap, for one year prior to joining Northwest Airlines, Helen flew for United Airlines. 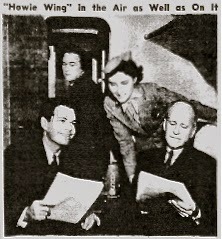 In January, 1939, Kellogg promoted Howie Wing by arranging the first radio broadcast from an airplane. Here Helen Jacobson is making sure Bill Janney, who played the part of "Howie", sound effects man Alexander Binnie and actor Robert Strauss are comfortable. 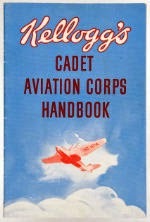 Helen's experience set me on a hunt for information about Howie Wing. Who was he? 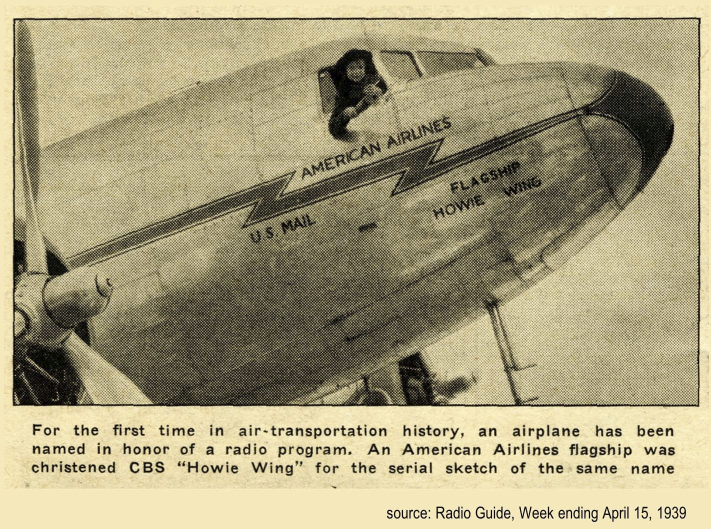 Please note: This will not be the whole delicious story of Howie Wing and Kathy and Jim Hanmel's discovery of long-lost episodes of Howie Wing, A Saga of Aviation radio shows. For the whole story, please read Kathy's 3-part report of 2005 and her follow up report in June 2007 in Radio Recall, the journal of the Metropolitan Washington Old Time Radio Club. Following is a sampling of tidbits I have enjoyed thanks to the research of Kathy Hammel and her team, who so graciously have shared them with me, and now I share them with you! 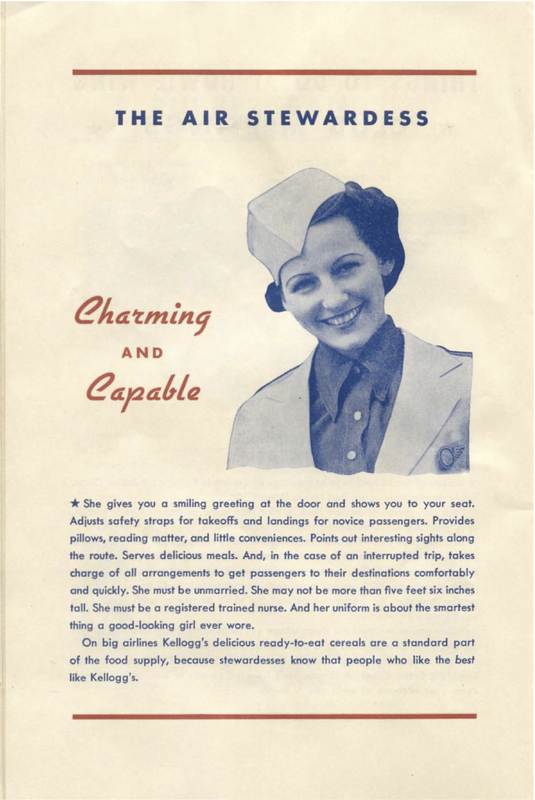 Included in the handbook are these handsome profiles of an "air stewardess" and commercial pilot: Note: click on the pages for easier reading. Thank you Kathy for opening up the whole new world (to Lady Skywriter) of old time radio! 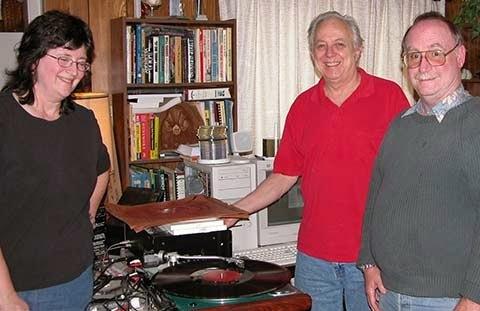 Jerry digitized and cleaned up the recordings Kathy and Jim found so that they sounded brand new. 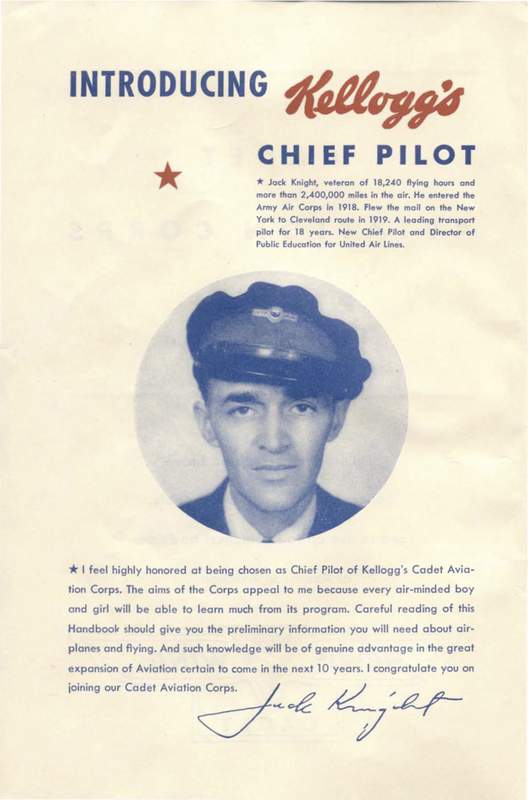 Last but not least, Click here to listen to episodes of Howie Wing, A Saga of Aviation. Note: I suggest you may find it easier to listen to individual episodes, listed below the collection.